Our General Manager Tammy Chan is ready to share our sauces with excited show-goers. Our weekend at the Southern Women’s Show Orlando was a great success! We sold 150 bottles of our delicious homemade sauces in four days at our first ever trade show appearance. We received so much positive feedback about our products; we were just blown away by the response! Women (and men) from all over Central Florida came to the Southern Women’s Show at the Orange County Convention Center to discover new products, see cooking demonstrations, and meet celebrities. 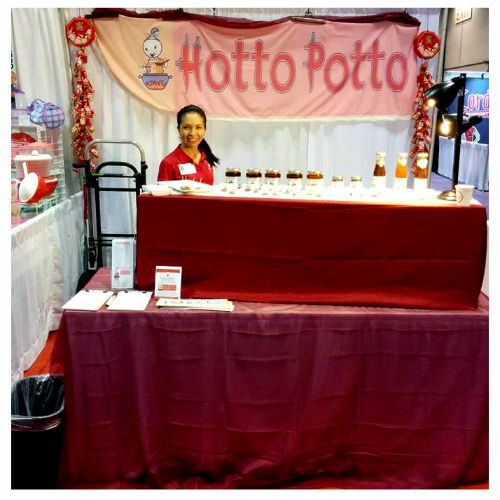 Over the weekend of October 9-12, thousands of people poured in to the convention center, and many of those people were delighted to sample Hotto Potto’s Secret Recipe Sauces at booth #607. We would like to thank everyone who purchased a bottle (or two, or three) and encourage anyone who saw us at the show to visit our restaurant and try the sauces with a traditional Chinese meal. We would also like to thank the team behind the Southern Women’s Show Orlando for all its hard work and helping us get the most out of our weekend. 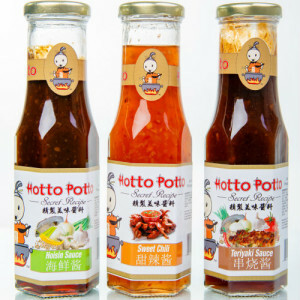 Connect with Hotto Potto on social media (@hottopottowp) and subscribe to our email newsletter to learn more about our homemade cooking sauces and the Orlando area’s favorite hot pot restaurant.